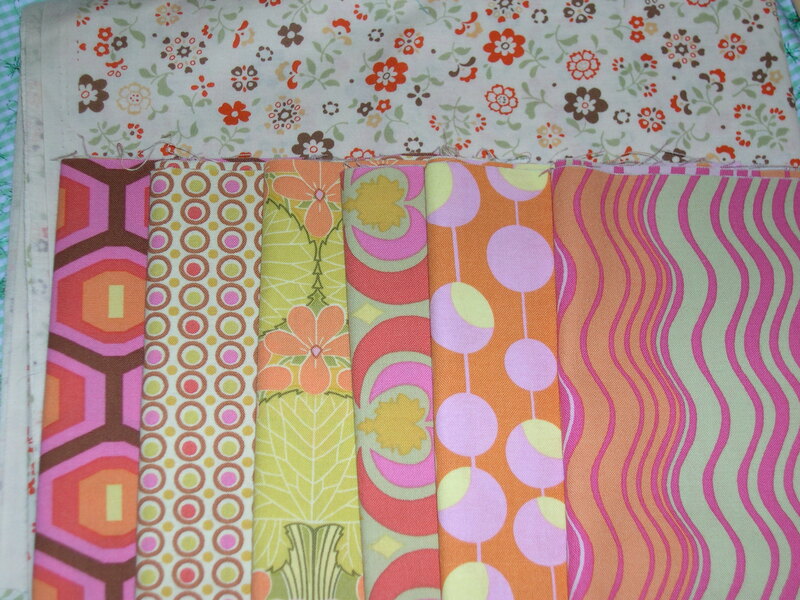 These six fat quarters are the only amount of Amy Butler’s Midwest Modern 2 in my fabric stash. The more I look at them the more I wish I had more! 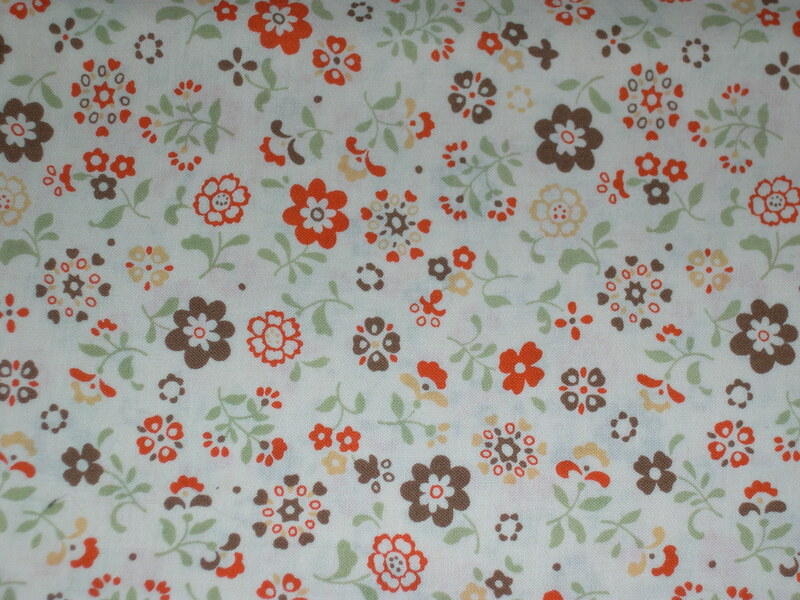 I also have this pretty My Folklore by Lecien in my stash, which matches the Midwest Modern 2 fabrics quite nicely. So I think I’m going to make this adorable hexagon table runner from the cover of the March 2009 issue of Sew Hip magazine. 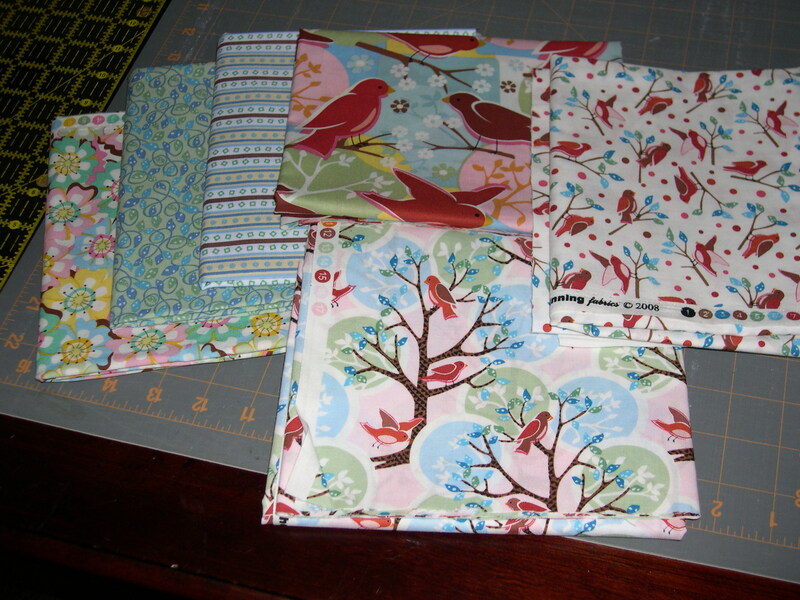 Want to share some fabrics from your Stash? Join the Sunday Stash at 1/4 of an inch. Wanna see more stash? 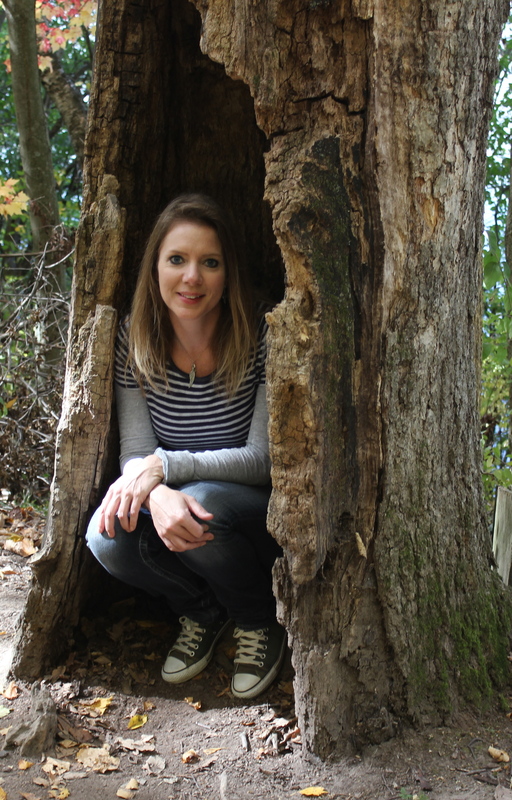 Check out the Sunday Stash flickr group. I love the swirl stripes. Gotta get some for my stash. I need to find a sew hip I think. The projects look fun. I haven’t got the 2nd Midwest Modern yet. Does it go with the 1st set? 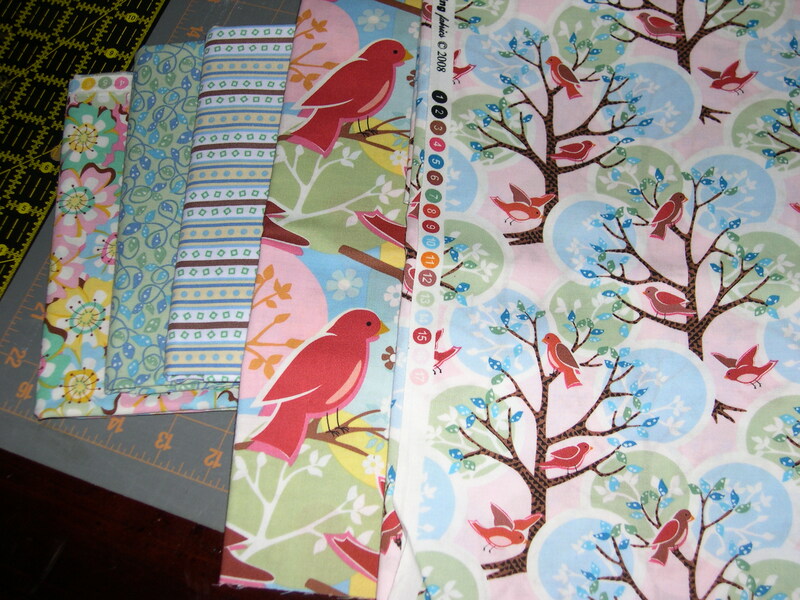 Those fabrics will be perfect for that table runner! How fun! I love your new header too. 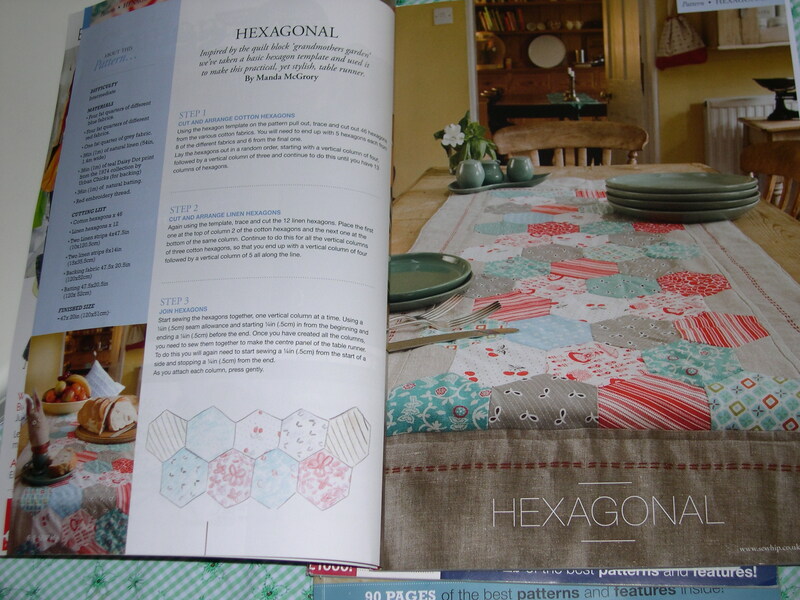 That table runner would be so much quicker to make than an ENTIRE hexagon quilt.